Last year Pulse highlighted trends for 2017 including Barre, Floating Yoga, Virtual Boxing and Orange Theory. Barre classes have moved online and Orange Theory centers and classes have become more popular as a HIIT option. We’re back to talk about what’s new for 2018 so you’re ready for whatever the new year will bring in. 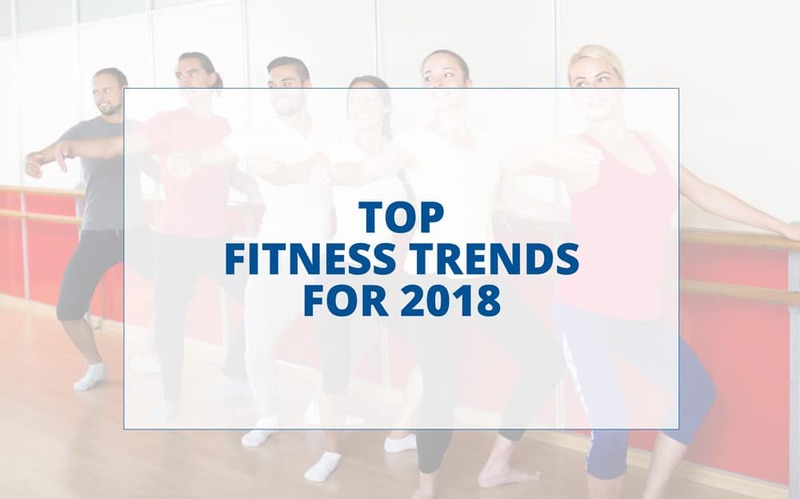 There is one new format listed here and the rest are trends that are repeating as American College of Sports Medicine’s (ACSM) top fitness trends for 2018. HIIT continues to maintain the top position and is defined as exercise sessions consisting of a warm up period, then several repetitions of high-intensity exercise separated by medium intensity exercise for recovery, then a cool down period. The high-intensity exercise should be done at near max heart rate. The medium exercise should be about 50% intensity. The number of repetitions and length of each depends on the Interval training is known to extend the fat burning metabolism benefit hours after the session is completed. Eric Salvador, NASM, NSCA, head instructor at The Fhitting Room in New York City notes that “this after burn effect is referred to as excess post-exercise oxygen consumption (EPOC) and is the reason why intense exercise will help burn more fat and calories than regular aerobic and steady-state workouts.” Orange Theory and TABATA are versions of HIIT and have enjoyed their own popularity and growth over the past two years. Group Training also continues to maintain a top spot for 2018 and includes fitness classes and workout groups. The Meetups app provides the opportunity for like-minded fitness individuals to get together in groups outside the class setting and includes activities like running, trekking, climbing, rowing and cycling. Official communities like GirlTrek, Black Girls Do Bike and others, provide a social element that inspires and motivates through accountability and engagement for exercising in a group setting. Wearable Technology is another continued top trend in 2018, reflecting heart rate monitors and apparel that can track vital workout statistics including activity trackers, smart watches, heart rate monitors, GPS tracking devices, and smart eye glasses, smart fabrics and interactive textiles. Check out these wearable items from Fitness Gadgets 2016. LISS, which stands for Low Intensity Steady State, the antithesis of the ‘go hard or go home’ philosophy, is a low-intensity cardio workout that calls for typically 30 to 60 minutes spent at the fat-burning sweet spot of roughly 60 percent of maximal heart-rate effort. Proponents say keeping that steady pace for an extended period of time can kick-start weight loss, increase blood flow, and promote oxygen delivery within cells. 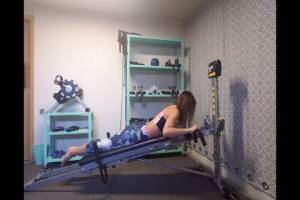 It’s considered also safer, with less strain placed on the joints and knees and a lower chance for injury. LISS training will still burn the same calories as a solid HIIT session, but will take an extra 30-40 minutes to complete, and can be as easy as taking a walk. While you still need to incorporate intervals, the intensity isn’t as brutal as a HIIT session. As workouts become more intense, mindful recovery is becoming more popular. Two recovery options are cryotherapy and infrared saunas. Infrared saunas work to detoxify, cleanse and heal the body using special infrared lighting that heats the body from the inside out. Many people consider the experience the ultimate recovery session, with the added bonus of weight loss, stress relief and a good boost to your immune system and are willing to pay up to $45 an hour for the opportunity. On the other end of the recovery trend is whole body cryotherapy or WBC. The body is surrounded with a super cold -150°C mist for 1-3 minutes which is thought to stimulate skin sensors, activating a Central Nervous System (CNS) response. This causes the release of endorphins while the enhanced circulation activity decreases inflammation by clearing toxins and metabolic waste with a supply of oxygen and nutrient enriched blood to stimulate cellular regeneration. It has a plethora of claims including decreasing inflammation and pain, improving appearance, slowing aging and weight loss. Current research has not supported these claims and more research needs to be done, however many users believe the therapy has provided benefits. Low-cost fitness – With the rise of online videos, apps and wearables, people no longer need to pay for pricey gym memberships to stay in shape. Barre Method, Peloton, Adidas All Day app and others provide classes in the comfort of your home or office at significantly less cost than attending the actual class. Yoga continues to be a dominant class favorite in 2018 in line with society’s continued need for mind body awareness. In addition to traditional offerings of Bikram Yoga, Iyengar Yoga and Ashtanga, new yoga formats have increased interest including goat yoga for animal lovers and beer yoga, well for beer lovers. Pound is a full-body cardio workout offered at many gym locations including Crunch and the YMCA. The class uses lightly weighted “drumsticks” called Ripstix and transforms drumming into an incredibly effective way of working out. Pound combines cardio, conditioning, and strength training with yoga and Pilates-inspired movements. The site claims the class burns up to 900+ calories per hour and improves your rhythm, timing, coordination, speed, agility, endurance, and musicality. The biggest motivation for working out is being challenged, and trying new classes or pumping up your perspective on old ones can provide that spark. Sprucing up your HIIT routine with gyms like Orange Theory and TABATA classes, finding a new workout crew, saving money working out at home or trying a new class like POUND, can keep your 2018 exercise resolution going all year long. Happy New Year!